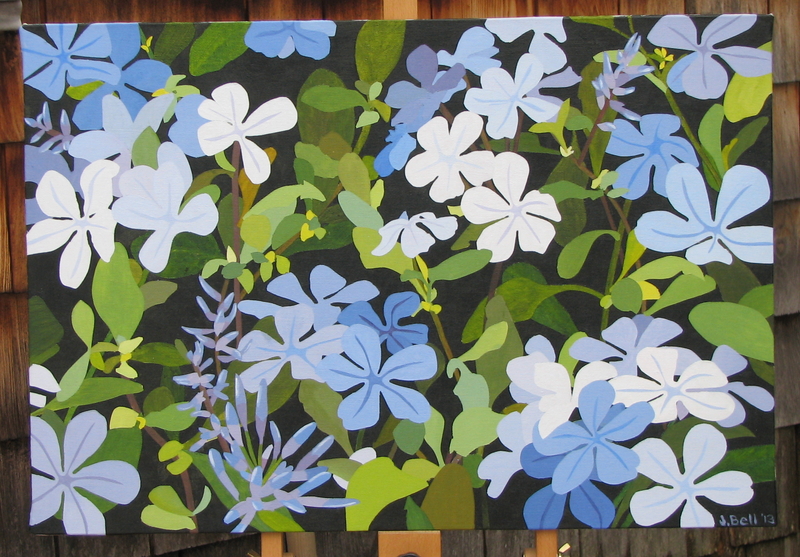 I’ve not photographed recently, so today’s blog shows many days of painting. I’ve begun the bottom cloth, and am mostly using a #8 filbert brush. I still resort to my small brush for edges and the like. 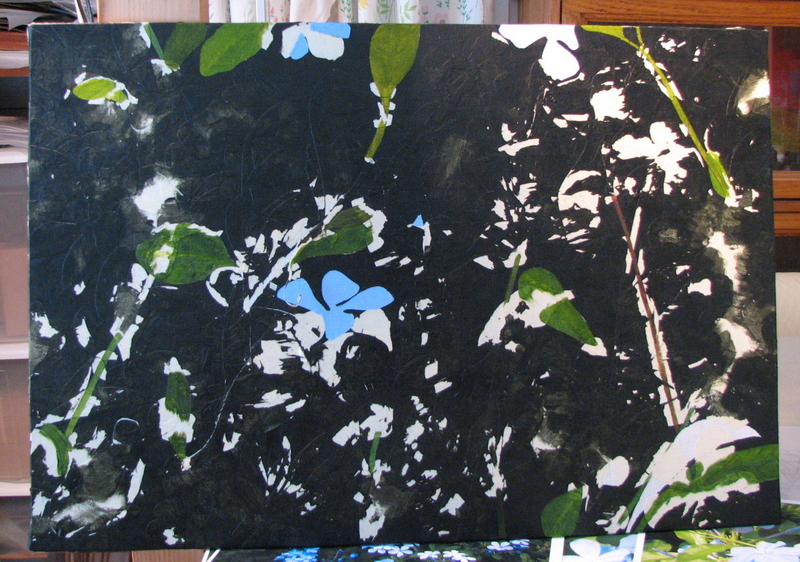 There’s still a lot to do – shadows need deepening in places etc., but I can see that I’m nearing the end. Here’s my color checker laminate to date. I still also use my color checker that I built according to Mark Carder’s design at DrawMixPaint. I find the plastic sometimes is too reflective to give me a good view. I’m getting better and better at mixing the correct color and value without having to use the checker. I expect to finish this this week. While I finish this up I will be thinking of what I will paint next. Usually by this time I would have settled on a subject, and even done the setting up and photographing. Even preparing the canvas. I like to be able to go straight into a new painting without having to do all the prep work. But that won’t happen this time. There’s too much going on this time of year to fit everything I want to do into the time I have. Categories: Uncategorized | Tags: brushes for oil painting, color checker, DrawMixPaint, how I paint, Mark Carder, Oil painting techniques, still life | Permalink. I send him a big thank you for making this instruction free for everyone. And oh yes – he also lists the tools he uses including the brushes. Turns out I’ve been using flat brushes when filbert might be just what I need. And now for something not in oil. After struggling with the little bird painting, I needed a break. So I took several weeks off and shifted to acrylics and made a tape painting – [I’m still catching up to the present day in this blog]. This is my father’s masking tape method. But I work out the design on paper first. My father does his design in his head as he goes. 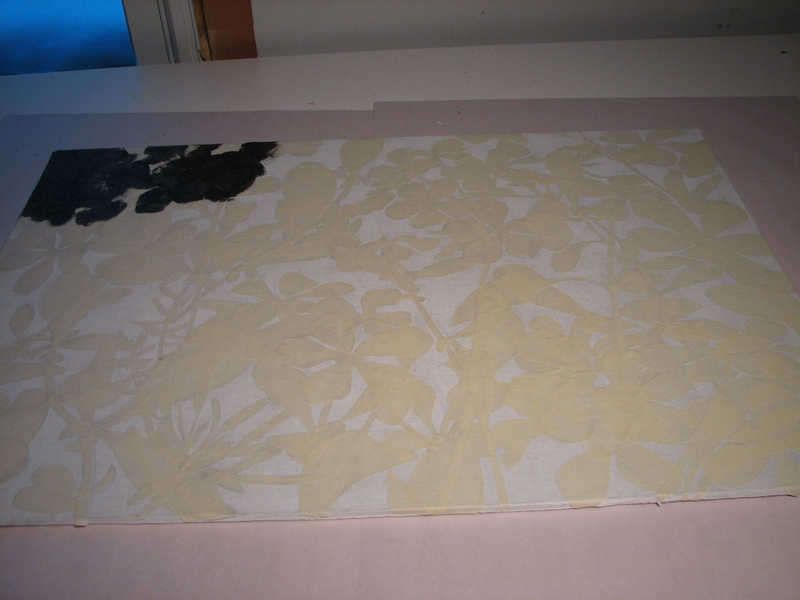 First the whole canvas is covered with the design – in masking tape. 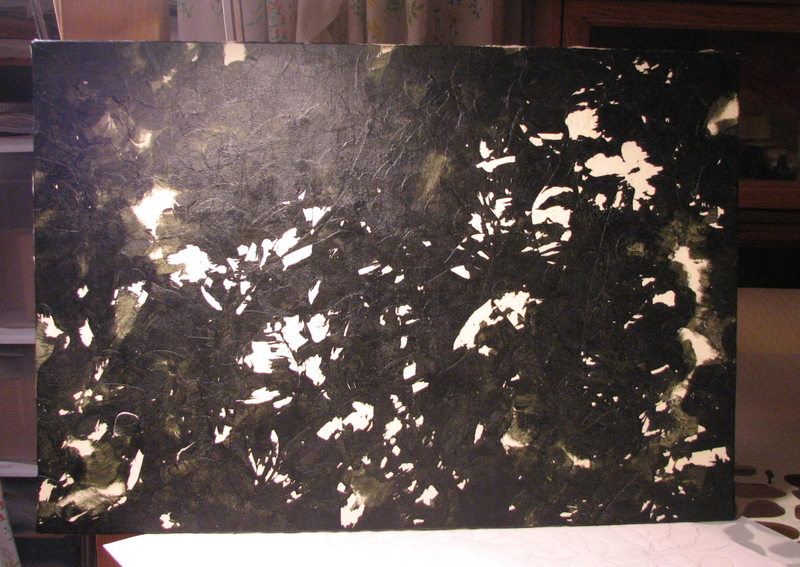 Then the background is painted. After that come a long slow process of removing tape piece by piece and painting the exposed canvas. 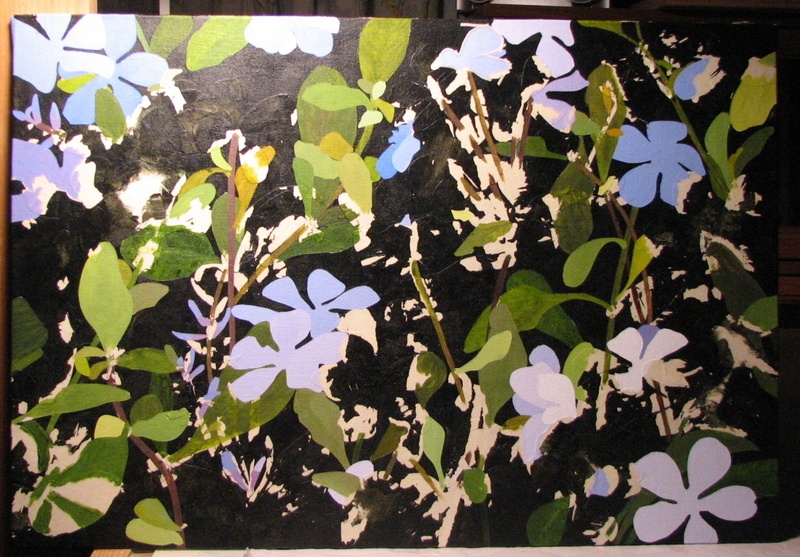 Unlike my father, I didn’t use shading in painting the leaves and blossoms, so it looks like a flat fabric design. It’s not a very complex painting but I like it. And it was fun. It is only at the end that one knows whether one has a disaster or something pleasing. Categories: Acrylic, Artwork, Painting, Tape Painting | Tags: DrawMixPaint, Oil painting techniques, painting of plumbago, Plumbago, YouTube artinstruction video | Permalink.